The Health Benefits Program provides a minimal amount of assistance to members of the Missouri Council and other legally blind Missourians who have experienced an accident or illness. 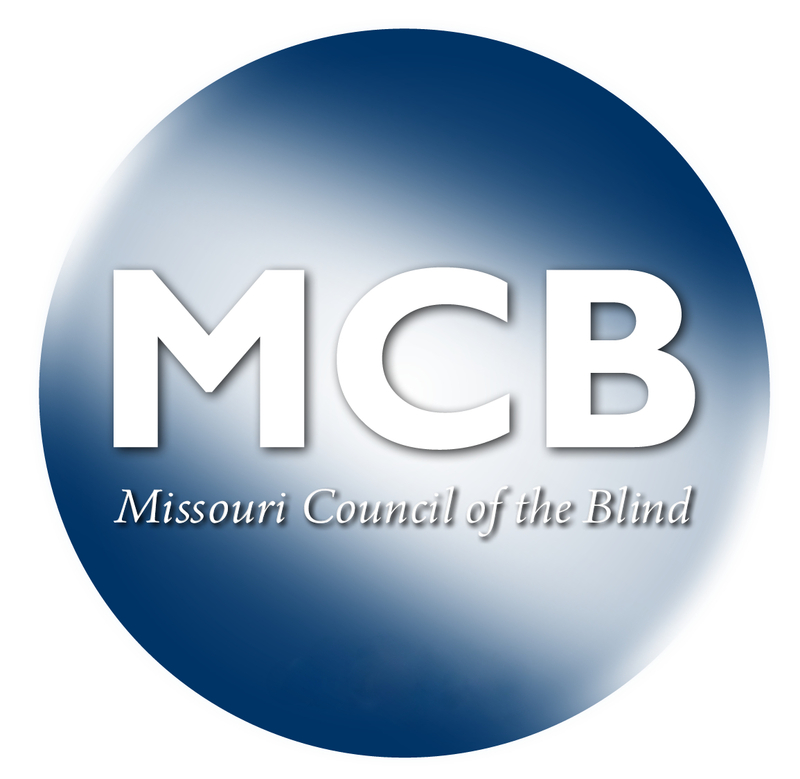 The Missouri Council of the Blind has established a Health Benefits program in order to provide financial assistance to employed legally blind citizens of Missouri and all employed members of Missouri Council of the Blind. 1. The application form may be obtained from the MCB office by phoning toll free (800) 342-5632 or (314) 832-7172; or e-mailing: aa@moblind.org or by writing the Missouri Council of the Blind, 5453 Chippewa Street, St. Louis, MO 63109. 2. The application must be fully completed with all requested information provided. 3. Other requested documents must accompany the application including: a physician's statement, a visual status statement (if needed) and a release of information form – fully completed. 4. Applicant must sign the application. 5. The application and supporting documents should be sent to the MCB office. The office will send the necessary documents to the Chair of the Health Benefits Committee. 6. The application must have all the dates for the illness or injury included, and the application must be submitted within 60 (sixty) days of the last date shown on the physician’s statement. 1. Physician's statement completed on application. 2. If you are not a member of the MCB, a signed statement of your legally blind status, from an ophthalmologist, or other reasonable authority such as Rehabilitation Services for the Blind, must accompany the application. 3. Documentation showing current employment status. 4. Due to the Health Information Privacy Act, you must sign and include the release of information form with your application. The release of information must include the physician’s name, address, and phone number (PRINTED or TYPED). All employed legally blind citizens of Missouri as well as sighted employed members of MCB are eligible to apply for health benefits through this plan. Employees that receive sick pay, workmen’s comp or any other income due to their illness or accident. Any individual determined by the Health Benefits Committee to have wrongly received benefits under this plan may be declared ineligible for any further participation in this plan and requested to return all overpaid benefits. C. What If My Application Is Denied? If the applicant has completed the application, provided the requested documents and has submitted the application in a timely manner but the claim is denied, the applicant may submit a written appeal to the MCB Board at its next regularly scheduled meeting. The Committee Chair will notify in writing the applicant of the Board’s decision. 1. An accident or illness resulting in substantially restricting the individual in returning to work and suffering from a loss of income. 2. Must be under the care of a duly licensed physician. 3. The maximum benefit is limited to ten weeks of benefits during each fiscal year of the Council. 4. Claims presented per individual may not exceed a combined total of $400.00 per fiscal year. If a claim is presented with dates that cover two fiscal years, the maximum amount is still $400.00. The Committee will assess the division of coverage, and the balance must be requested by a separate claim during the new fiscal year. a. If the claim (as in division of coverage) in the new fiscal year is less than $400.00, additional applications may be presented to make up the difference. 5. Benefits shall be paid at the conclusion of the illness or ten covered weeks, whichever comes first. But benefits are never to be paid ahead of those times. 6. Benefits will be computed at $5.71 per day if the time period is less than the maximum limit of ten (10) weeks. No benefits shall be paid under this plan to any person with a chronic illness or condition which existed on or before December 31, 1980. Any individual who makes an application under this plan and has a chronic illness or condition which commenced after December 31, 1980, shall be entitled to not more than ten (10) weeks of benefits during the entire term of the chronic illness or condition. C. Employed Members of the Missouri Council of the Blind shall receive the full benefits of the Health Benefits Program as set forth by the Health Benefits Committee. Those who are not members of the Missouri Council of the Blind but yet are employed and legally blind, shall receive 50% of the Health Benefits Program. To apply for membership in MCB you may go to: http://moblind.org/forms/MembershipForm.doc or call the MCB office at 314-832-7172 and request a membership application. The MCB Board shall have the authority to revise the Health Benefits Program as needed in order to maintain and protect the best interest of the Program and the Council. Revisions shall be effective as directed by the MCB Board. All expenses associated with the administration of this program shall be paid from program funds. The Health Benefits Committee shall make an annual report of the Fund to Convention at its next annual meeting. This report shall not contain the names of any individuals. The Health Benefits Committee shall consist of three members of the Council to be appointed by the President with concurrence of the MCB Board. The Committee shall review all applications and make a determination of eligibility within not more than thirty days from receipt of application.